Let me introduce our 2004 Honda Odyssey which comes with the 2.4 I-Vtech engine .This one has only done 63,924 miles from new. Features on this Odyssey include:- Electric Windows, Climate Control, Air Conditioning, Leather interior, Side Skirts, Electric folding mirrors, Privacy glass, Automatic Gearbox, Alloy Wheels, Rear wash-wiper, CD player, driver and passenger air bags, Centre Armrests, Remote Central Locking, Rear Parking Camera, Alarm, Folding rear seats, Cup Holders and much more. Our promise is to always be there when you need us. Why purchase cars from Japan?- Salt free roads with harsh speed restrictions.- Far superior quality compared to like-for-like UK examples.- Extremely low mileages.- Great specification & rare petrol automatics. The Odyssey will be sold with 12 months MOT, 12 Months Warranty, Valeted, Serviced and Wax Oiled. It will also be Registered with DVLA. Low interest rate finance available, please ask for details. We would be delighted to talk you, so don't hesitate to give us a call if you need any further information on *** or ***. This advert is for a Honda Odyssey, click Honda Odyssey in Dewsbury to see more cars like this in the local area. Want to search further afield? 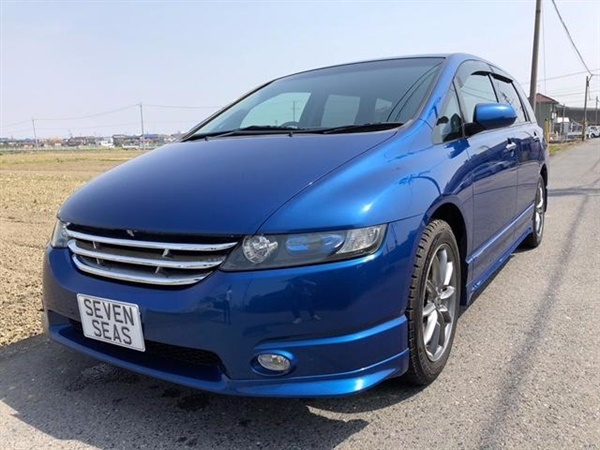 Click Honda Odyssey in West Yorkshire to search for similar cars in the wider West Yorkshire area.